A really well kept Suzuki Three-S F-120. Built in 1978 by Suzuki Violin Co. LTD in Nagoya Japan. I recently found another Suzuki Three-S F-120. These are great little Japanese built guitars that I can highly recommend. Really sweet tone and pretty descent build quality for being so inexpensive. Of course they can’t compare to Morris or K. Yairi but next to Aria, Maya, Shiro or the normally Suzuki’s they are great. 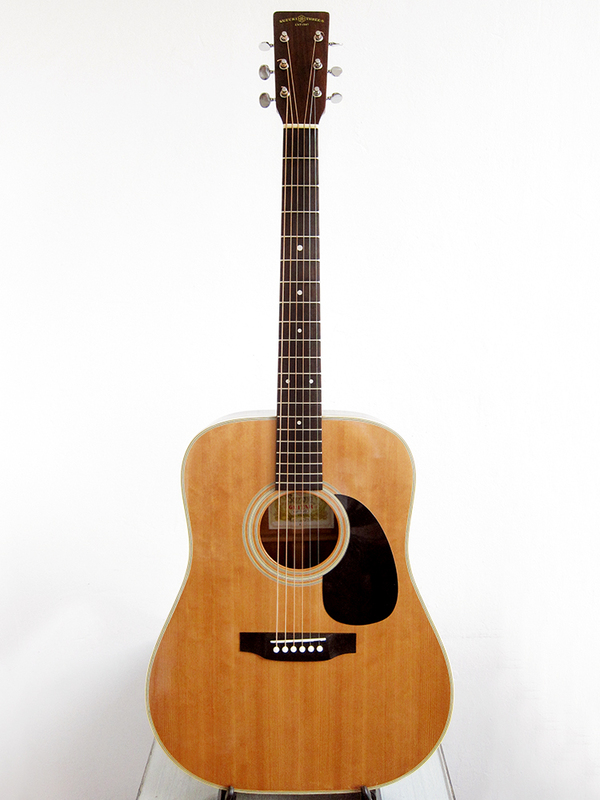 It’s a simple Martin D-18 copy built in 1978 by Suzuki Violin Co. LTD in Nagoya Japan. What always surprises me with these Suzuki Three-S F-120 is how light they are compared to a lot of Japanese dreadnoughts from the 1970’s that can feel pretty heavy and bulky. Unfortunately this one was sold straight away so I only got time to fix it up and make a Youtube video of it before it was gone. If you want to know more about different Japanese guitar brands then check my previous post. Suzuki Three-S F-120 in an old Japanese catalogue from 1979. It has spruce top, might actually be solid, with a laminated nato back and sides. Nato neck with a really dark rosewood fingerboard and bridge, it almost looks like ebony. Great site and impressive knowledge of these Japanese classics! I just bought myself an Ibanez V300BSL…Yes, a lefty! 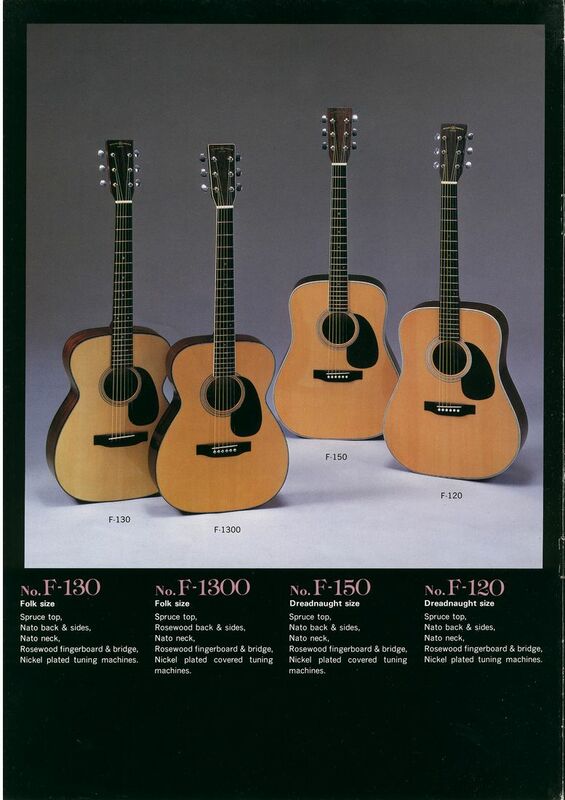 2nd hand sale from my local guitar shop: they were surprised when i told them how old the guitar was – it’s serial number is 790503 which I think means May 1979! What is really interesting is that it appears to be a hybrid between the V630 and the V300 you reviewed – the neck is from the 630 because the truss rod adjust is on the headstock under a cover, but the tuners and logo follow the V300 style. I just finished servicing it in similar way to your reviewed Ibanez, and it sounds, plays and looks lovely now! Thanks again for your site – regards, Scott.